Reiner JetStamp 790MP Portable Date Stamp is your Mobile Date Stamp, featuring 2-Line Ink Jet Printing WITH A Quick-Dry Ink and Firmware designed for Metal, Plastic and Slick surfaces. The Reiner JetStamp 790MP helps you print on Parts and Products. 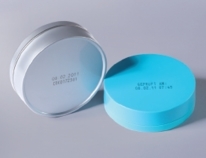 Enjoy 2 line ink jet printing on metal, plastic, and slick surfaces with the Reiner JetStamp portable date stamp. With firmware designed for difficult surfaces, the JetStamp 790MP allows you to print on parts and products. 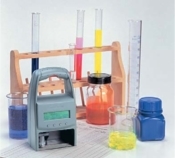 This precise, fully mobile date stamp printer is excellent for a wide range of applications. It advances through the time, date, month, and year automatically and its rechargeable battery is good for 500 to 600 imprints. The Reiner JetStamp prints on soft, flat, rigid, or uneven surfaces and offers a total solution for checking and validating events and transactions. All you need for precise, Fully Mobile, Date Stamping printer...specifies who, when, where with Reiner's JetStamp 790MP portable date stamp. Complete JetStamp 790MP Portable Date Stamp Kit includes; (1) JetStamp 790MP Mobile Time Stamp (with Quick-Dry Ink Firmware), (1) Charging Docking Station, (1) Black Quick-Dry Ink Jet Cartridge, (1) USB Cable. Watch this video to see the Reiner JetStamp 790MP Portable Date Stamp in action.